Web Reputation Builders is a boutique Web Design, Web Development, Search Engine Optimization and Online Reputation Management Services firm based in San Diego, CA. 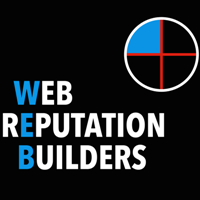 At Web Reputation Builders we help businesses succeed in the leading internet and social media markets, where the majority of today’s consumers find and compare services by searching the World Wide Web. You don’t have to understand internet marketing, search ranking or even know how to use a computer. Web Reputation Builders will do it all for you. At Web Reputation Builders we understand the vast number of factors that go into search rankings and developing a quality website, so you don’t have to! Let our experience and knowledge help you and your business achieve its internet marketing goals.